Summer rolls round into view and everyone’s perennial favourite, the E-learning Summer School bursts into bloom. This year we are nurturing Curriculum 2021’s Liverpool Hallmarks in our verdant garden of workshops and network meetings, with a particular focus on authentic assessment and active learning. As well as our regular introductory sessions we’ll be looking at classroom polling technologies, getting started with Twitter for HE, tools and tips for visual presentations in lectures, introducing you to PebblePad’s assessment capabilities, and our #livunisocial network will be meeting. We’re also running a short session on the tools we have for student peer review and self assessment. Finally, it’s the end of our season of workshops on Turnitin and Blackboard Assignments which support the University’s policy on electronic submission so book in quick if you want to get some training in either of these e-submission and feedback systems. The complete schedule follows below. For bookings please email eddev @ liv.ac.uk if there are any sessions you want to attend. Full descriptions for each session are available on the booking page here. You can also book from this page where clicking the ‘book here’ link generates an email with the subject filled in with the workshop you want to attend. Wednesday 6th June (10:00 – 12:00) – VITAL Essentials – Beginner’s practical session on using VITAL also covering the VITAL Baseline, copyright and accessibility. such as portfolios and student placements. This session will introduce users to the main features and identify different ways the system can be used. Monday 11th June (13:30 – 15:00) – PebblePad for assessment. Tuesday 12th June (10:00 – 12:00) – Social Media Round Table #livunisocial. Our popular network forum for staff using social media to support and enhance the student journey in all its forms. We’ll bring together examples of good practice from across the University, offer practical tips and advice, as well as exploring new tools and approaches. Tuesday 12th June (13:30 – 15:30) – Engaging Learners visually in lectures – tools, tips and tricks. Examining principles of communication and good design for the presentation materials we use in lectures. We will explore sharing approaches and tools that allow you to make engaging slides in PowerPoint, access Creative Commons images, and present data in appealing and engaging ways. Wednesday 13th June (10:00 – 12:00) – The Blackboard Assignment tool for e-submission and feedback . A practical session looking at how you set up and manage coursework submissions through the Blackboard Assignment tool and how you can offer feedback electronically using the grading. Wednesday 13th June (13:30 – 15:30) – Turnitin and Feedback Studio for e-submission and feedback. A practical session looking at how you set up and manage coursework submissions through the Turnitin Assignment tool and how you can offer feedback electronically using Feedback Studio. Thursday 14th June (13:30 – 15:30) – Classroom Polling Technologies. A look at some of the classroom polling systems widely available and their applications. NB this session will use technologies and software which are currently not available centrally through CSD, but you will be shown low cost or free (but limited) systems which you can use in your teaching. Friday 15th June (10:00 – 12:00) – An introduction to Twitter in Higher Education. This session will provide an overview of the tool, demonstrate examples of how it is used in teaching to support learning, event hashtags and sharing of information. Friday 15th June (13:30 – 15:00) – Online tools for student self and peer review. Here we introduce the two main tools for student self and peer review activities, PeerMark (from Turnitin) and Self and Peer Assessment (from Blackboard). Also running soon after the main summer school sessions are our TEL introduction sessions. These are discursive, reflective sessions, along with a good overview of the technologies, policies and strategies, rather than practical skills-based sessions run in the lab, and are a key component of the CPS programme, but open to all. Monday 18th June (09:30 – 12:30) – An introduction to technology-enhanced learning. Looks at the technologies we have available centrally at Liverpool, their applications for learning and teaching, and highlights policy, strategy and guidelines relating to TEL. Reflect on your digital capabilities and that of your students within the context of your own discipline. Monday 25th June (13:30 – 15:00) – An introduction to technology-enhanced learning. Another run of the above session. All of the workshops are listed on our booking site linked to here. The main pre-requisite for the summer school sessions (apart from the introductory workshops) is that you are familiar with VITAL and navigating your way around, but please contact us if you want to discuss the suitability of any of the sessions. You are welcome to book on as many sessions as you wish, although we would ask that if you find yourself unable to attend to unenroll as soon as possible. Please also remember that we are able to run tailored workshops for schools and departments (with a minimum of five attendees). Get in touch with the Centre for Innovation in Education to discuss this option. 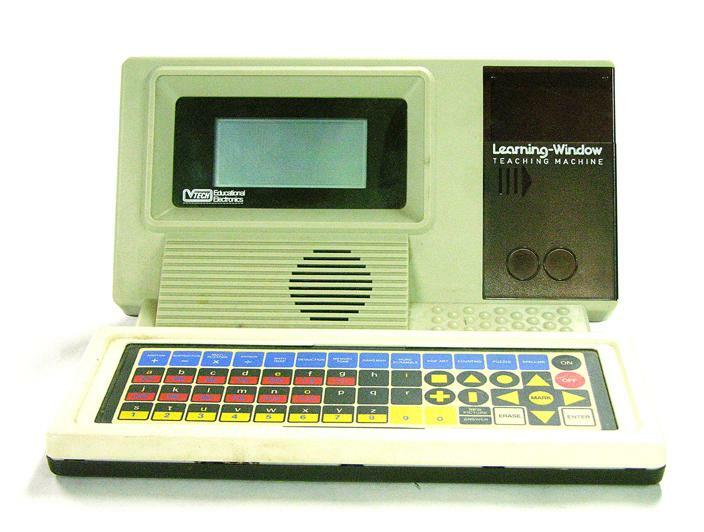 Learning World Teaching Machine – 1985.